If You’re Selling Your Stockton House, it’s Ok to Pray for a cash Buyer, but dont be surprised if your buyers need Financing. Just remember that 99% of conventional retail buyers in today’s market need financing and it can be a roller coaster ride for you. Whether you’re buying or selling a house, there are so many little things that can derail the sale. The location, home inspections, appraisals, seasoned down payment money, income verification, credit scores, buyers recent purchases, the condition of the house… it’s all in play and it all matters the second that you realize that a buyer for your house is most likely going to need financing. If the box on the contract is checked FHA, VA, and even Conventional, your buyer requires financing, so step back and realize that your pre approved buyer is not necessarily approved or a lock. How do I know? My name is Peter Westbrook and I am a cash home buyer. 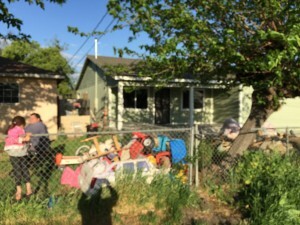 I am a real estate investor in Stockton, Sacramento and Modesto and I buy houses for cash, but when I sell them there is a 99% likelihood the buyers will require financing. I have financing nightmares that range from lenders losing a buyers entire loan application (including all original documents)at the 31st day to a denial because the underwriter didn’t believe the buyer was going to make a 78 mile commute 3 days a week. The underwriter lived in Nebraska. Apparently she didn’t know that Californians commute. With just Wells Fargo alone, the largest mortgage lender, over 20% of their loan submissions are rejected, it’s no wonder so many sales fall out of escrow. Real Estate Agents, Mortgage Brokers and Title Companies are all very important to a successful transaction that requires financing, but it’s always in the details and whether the underwriter feels comfortable with the information that they are looking at. 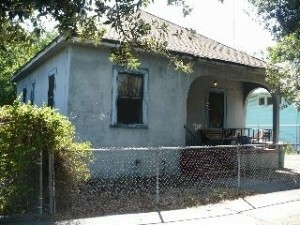 That is why when you’re selling your stockton house, that mortgages may not be a sure thing. Remember that the home buying and selling process is just a different side of the same coin and sellers are by and large left in the dark when it comes to the buyers and their financial qualifications to buy any house. Just because they have a pre qualified or pre approval letter, does not mean that the buyers are approved. Otherwise the letter would say approved. So what do these financing pre-approval terms really mean? It means that the buyers applied for a loan and answered some basic questions regarding their income, debt and credit score. It means that all the information provided fell in line with the parameters of the lenders guidelines and short of the documents and details surrounding their credit score and existing debt load or ratio, they would generally qualify for a loan. That’s a relief… right? Not so Fast! 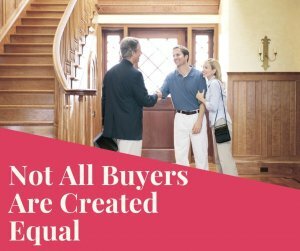 Sellers, therefore, have to rely of their real estate agents and the real estate agents representing the buyer to validate that the buyers are “pre-approved”. As sellers, we sometimes take the financing for granted and when we accept an offer we just believe were going to coast to the closing line without any hiccups. But, Most buyers and sellers overlook the complexity of the process and assume that the banks and mortgage lenders will do their best and ignore that it’s the financing process that most often kills over 40% of all housing transactions. Listen to this newsflash… It really doesn’t matter what your credit score is, your buyers loan is not a sure thing. How do I know? 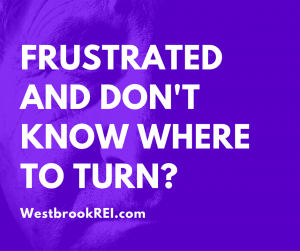 10 years experience as a Stockton real estate investor and I have languished through hundreds of transactions from the beginning phase of accepting the offer to wondering what happened when the financing fell apart 45 days later. The first few times I was mortified, because I was told that they were the perfect buyer. Who told me? The Buyers Real Estate Agent of Course? 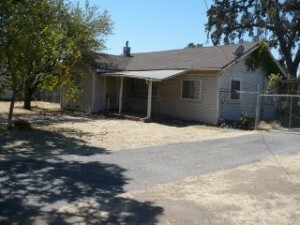 So what can you do if you are Selling Your Stockton House and want a little piece of mind? Is there anyway that you can plug yourself into the equation and not have to just wait and see but actually listen in on the conversation? Later in the article I will share with you how, as the Seller of a house in Stockton, I am never left in the dark when it comes to the financing. It’s all perfected by a simple counter offer that I write into every purchase and sale agreement. I call them my 6 standard Counter Offer Items and they work flawlessly. I am amazed that sellers agents don’t recognize its vast power and make it a standard part of any offer that they write. But that particular critique of real estate agents has to be left for another article. There are so many underwriting guidelines that must be met to qualify for a home loan, both for the borrower and the house. You read that right. 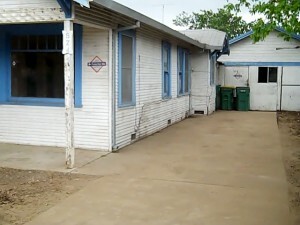 Beginning in 2010 the house must also qualify and the buyer cannot step in and save the day by saying that they will just fix the house after closing. It doesn’t work that way in today’s real estate market and Lenders are not going to put their clients in “risky loans’ just to allow you to sell a house. The Bastards!!! It is highly likely that even the healthiest borrower could still run into a brick wall along the way. So who keeps track of the mortgage numbers? I am glad that you asked. those numbers are crunched by the Federal Financial Institutions Examination Council (FFIEC) released Home Mortgage Disclosure Act (HMDA) data for 2012. Now I know that the data is old but the details are what matter and from what I can gather they have not changed very much for 2017 and 2018. In fact, the top mortgage lender in the United States, Wells Fargo, denied 84,687 of the 399,911 home purchase applications it received (21.2% rejection rate), including those that were pre-approved Mortgage, according to a Marketwatch analysis. Selling Your Stockton House? That Mortgage May Not Be a Sure thing! While the possibilities are more numerous, We’ll keep to the basics as to why mortgages are declined. Let’s start with credit, which for home mortgage applications is the mother lode. No one moves forward in the process without first passing this hurdle. Iif your credit score isn’t above a certain level, your home loan application will be declined. While the FHA permits financing with credit scores as low as 500, most individual banks have overlays that call for higher scores. So if your score isn’t at least 620, you could be denied. Even if your credit score is above a key threshold, a lack of credit history could prevent you from getting a mortgage. What this means is that those who didn’t open enough credit cards and other loans (student loans, auto loans/leases, etc.) prior to applying for a mortgage could be denied. Mortgage lenders need to measure your creditworthiness by past performance and without a prior history it can be next to impossible for them to do so. Remember, not all lenders have the same guidelines when it comes to this item so if you know that is a problem shop around. The next big item is what’s actually on your credit report. It’s always the little things… too many creditors, not enough creditors. Late payments, delinquent payments, divorce, a spouse’s previous debts… they could hurt you as well. If you have recent mortgage lates, you could be denied for a subsequent mortgage. The same goes for past short sales, foreclosures, bankruptcies, and so on, though the FHA has recently eased guidelines on those items. Another credit issue that comes up is when borrowers make the mistake of opening new credit cards or other getting new loans during or just before the mortgage approval process. 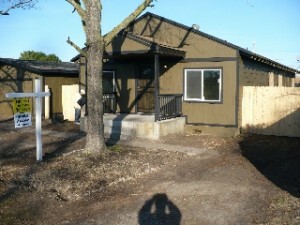 I have had buyers go purchase a new car and new furniture for the house that just fell apart. 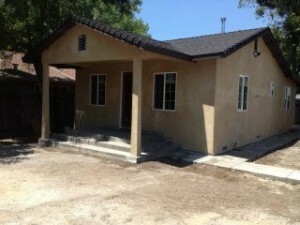 Buyers that require financing are always the sellers weakest link. Verified Income is everything today. The old rules of stated income (especially for the self employed) are out, now it’s all about the documentation, the 1099’s, W2’s and Tax Returns. Period. No fudging and no guessing. If you don’t make enough money for the mortgage applying for, you will be denied. Banks have certain Debt To Income ratio maximums that are enforced, and if you exceed them, you’ll be declined. So attempting to borrow more than you can afford will easily lead to a denied application. Lenders also want to know where that income is coming from. If you’re the primary income and you’ve recently changed jobs stayed within the same industry, or only been employed the same job for a few months at a new job in a new industry, you’ll have some explaining to do. Lenders underwriters want to know that your income is predictable and can be to be maintained for the life of the loan. Of course no one can guarantee that but if you want to buy a house dont change jobs until after you secure that mortgage, otherwise you are just wasting everyone’s time. The same is true about large gaps or jumps in income – if your income all of a sudden shoots up, the underwriter might want an explanation convincing the lender that you’ll continue to make that amount of money in the future. There’s also the odd chance that the mortgage rates can change and it’s always smart to lock in your rate, or the payment can change and you’ll find yourself declined because of affordability. If you aren’t able to come up with the money, you could be denied, especially if there are certain Loan To Value limits that must be met. As a seller you need to be prepared for buyers to ask you to pay for their closing cost or better yet they ask for assistance with the down payment. Amazing that buyers getting loans will ask the seller for assistance, but they cannot always ask their families for down payment assistance because the seasoning of money requirements. As I noted earlier, it’s not just about you and your credit. If the property doesn’t appraise for a number of reasons, the loan is at risk. Appraisals today also have safety and livability standards so it’s just not about the value. I have had an appraiser fail a house because there were holes in the flowerbeds where someone had stolen the one gallon plants that were planted the week before as a trip hazard the night before the appraisal. As the seller I didn’t get the call for the appraiser appointment, my agent did. Sure I would have filled in the holes had I known about the appraisal, I would have been there, but my agent didn’t call and she doesn’t carry a shovel. Of course I filled in the holes, and two weeks later the appraiser reappeared to approve, but these are the silly things that drive you crazy as a seller. 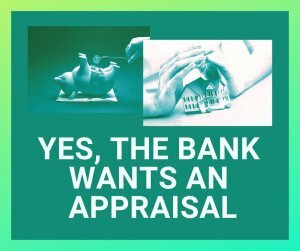 There is also the case where the appraisal comes in lower than expected, so the as the buyer you’ll need to bring more money in at closing, or you’ll have to renegotiate with the seller. 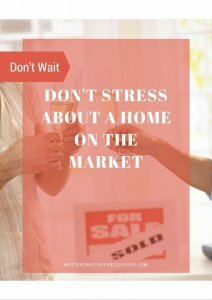 If you don’t have the money, and the seller won’t budge, the buyer may need to walk away. For condo or townhouse buyers, there are additional hurdles that involve the Home Owners Association (HOA), the annual cost, and the makeup of other owners in the complex. If too many units are non-owner occupied, or the HOA’s finances are in bad shape, your mortgage could be declined. 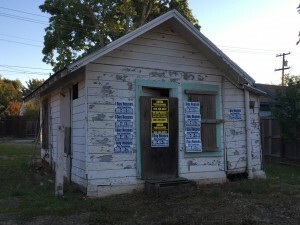 Even if it’s a single-family home, if there’s something funky going on, like bars on the windows, cracked driveways and sidewalks, a falling fence, a stain on the ceiling from old water damage, or some kind of weird home-based business, financing may not happen. There’s also good old-fashioned lying and fraud – if you attempt to inflate your income or lie about your job title, and it turns out to be fake, your application will get declined. If you are denied, it’s not the end of the world. Simply determine what went wrong and look into applying with a different lender, perhaps one with more liberal guidelines. Or ask for an exception. Either way it spells DELAYS for the seller that may not be that patient. Of course, as the buyer you might just need to wait a while if it’s a more serious issue that can only be cured with time, which is certainly sometimes the case. As for the seller… Good Luck, because you are starting over and guess what? In California you’ll never get to keep the Earnest Money Deposit. 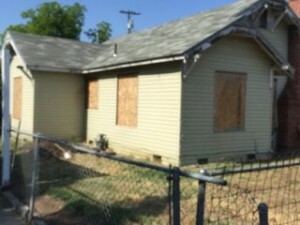 So after all of the above, is there any reason that you would feel certain that if you are Selling Your Stockton House that the financing is a sure thing? Is there any reason that you would not want more assurances than the word of the Buyers Agent that their client is “well Approved”? Real Estate Agents are not the full service you can count on me super agents of the past. Their credentials vary and sometimes, things just fall through the cracks. They are not 24/7 like you are. They are not motivated sellers like you are. They may have empathy but they have no skin in the game like you do. In this new era of real estate, Sellers need to take a dominant position and stand tall by interjecting themselves into the financing conversation. 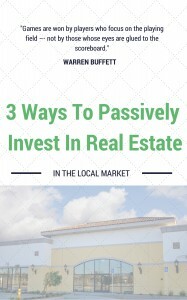 Once you do you, the seller can actually save real estate deals because once you have a voice at the table your interests are going to be addressed. Don’t allow your real estate agent to bully you into accepting second chair at the negotiation. Why? No matter how good they are, they have no skin in the game until the transaction closes. They have opportunity and that is not an investment. So the next time you are selling a house dont be so afraid of the financing, take control of the conversation and when an offer is made consider this counter offer as my gift to you. 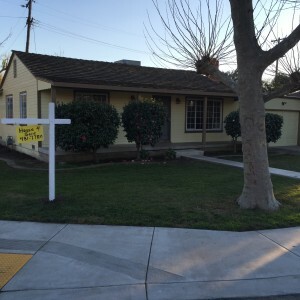 Selling Your Stockton House? 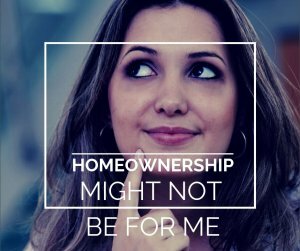 That Mortgage May Not Be a Sure thing, but you can get a leg up on the process and plug yourself in the middle of the whole thing, so that you assured the lender knows who you are. This will insure that you are not the last to know what happened five days prior that caused a loan to fall apart. My name is Peter Westbrook and Godspeed to a fast closing.